A team of rescuers was called to deal with a trapped casualty, described as ‘smelly’. 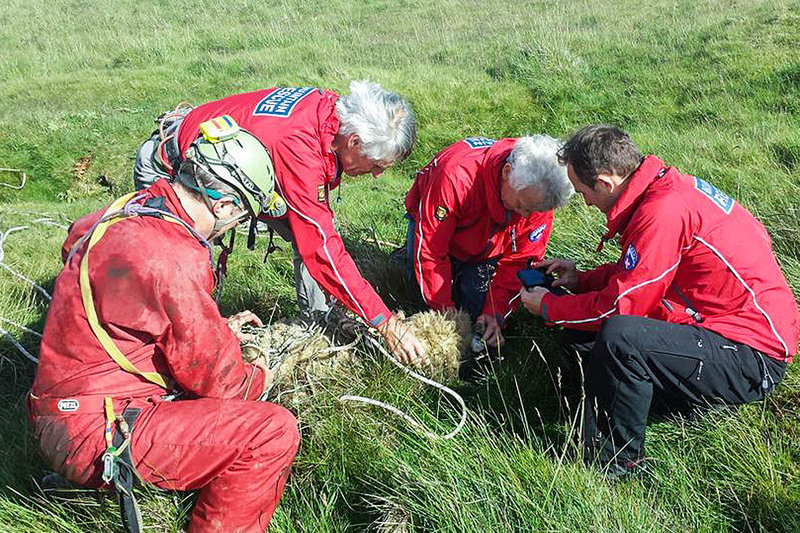 Upper Wharfedale Fell Rescue Association was alerted on Saturday to the plight of a sheep that was trapped in a narrow cleft on a Yorkshire Dales hillside. A walker spotted the animal trapped in a rift on Hawkswick Clowder, between Bordley and Littondale. Police contacted the rescue team and five of its volunteers went to the site. A team spokesperson said: “The team was able to drive up to the location in a Land Rover and located the sheep down a hole in a line of old mine workings. The Grassington-based rescuers deal with incidents both on the fells of the eastern Dales and in the area’s numerous limestone cave systems.